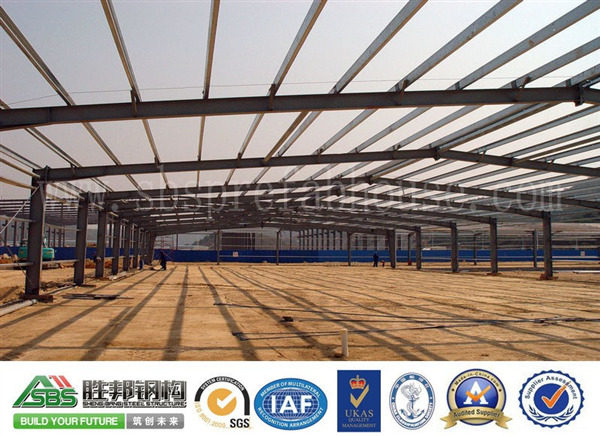 Foshan Shengbang Steel Structure Co., Ltd. is one of the excellent steel warehouse manufacturers. The development of the steel structure supplier is obvious to all. Let's take a look at the advantages of this steel structure house. Foshan Shengbang Shengbang Steel Structure Engineering Earthquake resistance: Most of the roofs of low-rise villas are sloping roofs. Therefore, the roof structure is basically a triangular truss system made of cold-formed steel members, and the light steel members seal the structural plates. After the gypsum board has formed a very strong "plate rib structure system", this structure system has a stronger ability to resist earthquakes and resistance to horizontal loads, suitable for areas with seismic intensity of 8 degrees or more. Foshan Shengbang steel structure wind resistance: steel structure construction lightweight, high strength, good overall rigidity, strong deformation ability. The weight of the building is only one-fifth of the brick-concrete structure, and it can withstand hurricanes 70 meters per second, so that life and property can be effectively protected. The Durability: The light steel structure residential structure is all made of cold-formed thin-walled steel components, and the steel skeleton is made of super-preserved high-strength cold-rolled galvanized steel sheet, effectively avoiding the effect of steel corrosion during construction and use, and adding light steel components. Service life. Structural life up to 100 years. Insulation: The insulation material used is mainly made of glass fiber cotton, which has a good thermal insulation effect. With external wall insulation board, the “cold bridge” phenomenon of the wall is effectively avoided and better insulation effect is achieved. The R15 thermal insulation cotton with a thickness of about 100mm can be equivalent to a 1m thick brick wall. Sound Insulation: The sound insulation effect is an important indicator for the evaluation of residential houses. The light-steel systems are equipped with insulating glass for windows, sound insulation and sound insulation of over 40 decibels, and a wall made of light steel keel and insulating material plasterboard. The effect can be as high as 60 decibels. Health: dry construction, reduce the pollution of waste caused by the environment, housing steel structure materials can be recycled 100%, other supporting materials can also be recycled, in line with the current awareness of environmental protection; all materials are green building materials to meet the requirements of the ecological environment, good for health. Comfort: The light steel wall adopts a high-efficiency energy-saving system and has a breathing function to regulate the indoor air humidity. The ventilation function on the roof can create a flowing air space in the interior of the house to ensure the ventilation and heat dissipation requirements inside the roof. The Fast: All dry construction, not affected by the environmental season. A building of about 300 square meters, only 5 workers 30 working days to complete the entire process from the foundation to the renovation. The Environmental protection: The material can be recycled 100%, truly green without pollution. Energy-saving: All energy-efficient walls are used, and the heat preservation, heat insulation, and sound insulation are effective, and can reach 50% energy-saving standards. 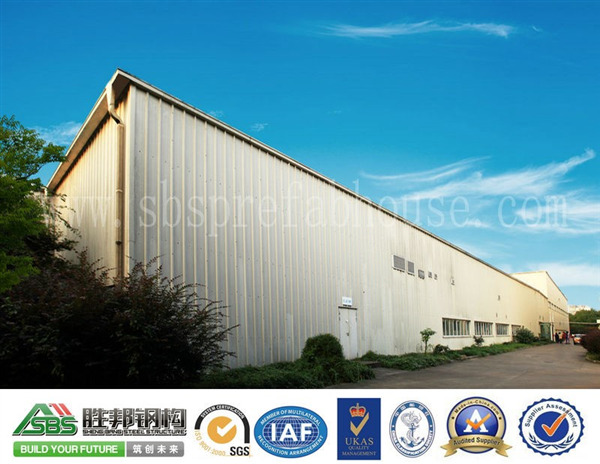 This article is provided by Foshan Shengbang Steel Structure www.sbshouses.com.